Large saloon, competes with Toyota Camry in Thailand. Not available in the UK, nor ever likely to be. 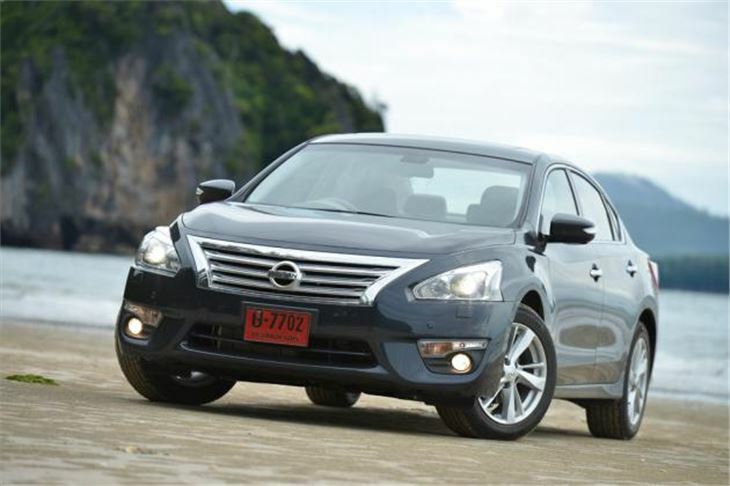 Nissan's new Teana 'executive saloon' for 2014 is larger, more comfy, more luxurious. It is also more fuel efficient than the previous Teana and offers great ride quality with commendable equpment level.